As seen in 101 in Vogue magazine (March 2009 issue, p353). A powerful gaze framed in bold elegance. 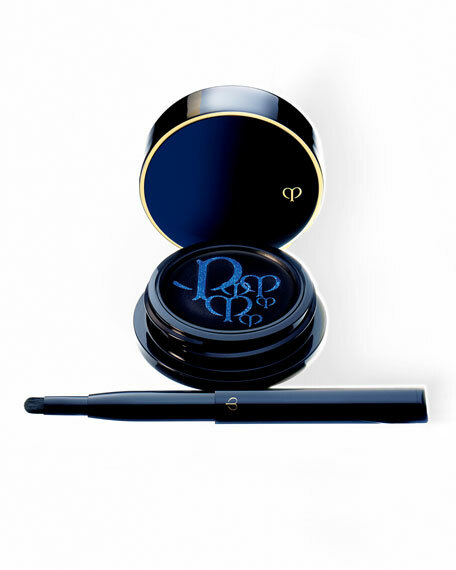 This cream-type eyeliner exquisitely defines eyes as it glides on softly and smoothly. Waterproof ingredients and polymers create intense color without unevenness or smudging and maintains a long lasting perfect finish. Includes a retractable brush for effortless application. Exclusive Clé de Peau Beauté advanced moisturizing ingredient Hydro-Wrap Complex. Argan Tree Oil for smooth application and wear. For in-store inquiries, use sku #222404.